One reason New York is struggling to deal with subway crowding – and housing and other matters – is that it is now facing a kind of problem northern cities haven’t had to deal with in a long, long time: the problem of growth. In other words, New York is now having to start thinking like a Sunbelt city. Northern cities exploded in size during the late 19th and 20th century, and vast infrastructure projects were undertaken to support that growth. By the time the post-War highway expansion era was over, this infrastructure was largely in place and the cities of the north had to switch to a new problem: managing decline. The places that had to build infrastructure in the north were largely suburban in nature. Candidly, they did not handle decline well. Cities feature large fixed costs, such as all that infrastructure, so that as they decline the economics go south quickly. To the extent that there was an infrastructure problem, it was repair of the existing installed base, not building new. Even today, the problem facing most northern cities is dealing with shrunken populations well below their peak and the resultant infrastructure overhang. But what happened starting in the 80s and 90s is that a select group of cities started to grow again. This was almost like getting free money for places like New York. Their infrastructure had been built for a larger population – in some cities a much larger population – and so there was no need to expand it to accommodate the growth. Life was good. Today, however, New York is now at an all time record population high and still growing. This is not yet true elsewhere in the region. Even the city of Boston, though with its own set of growth challenges, is well below its historic population peak. This puts New York in the vanguard of hitting a cap on the ability of its installed infrastructure base to support the population. Now, not all infrastructure is at capacity. New York consumes far less water, for example, than it did in the industrial area. But for things like housing and transport (and likely parks and other things), there’s increasingly no room at the inn. New York’s growth rate still vastly trails Sunbelt metropolises. But it is going to have to start taking lessons from them – and its own past – and figure out how to start making major capacity expansions in things like its transit system. This will be difficult to do because it still faces the cost of modernization for much of the existing installed base. I’m not sure people here have really made the conceptual shift that New York needs to start thinking like a growth city again. This probably involves more than just infrastructure changes. New York also vastly expanded its borders at one point, for example. I’m not saying the city should do that again, but it’s an example of the type of reconceptualization the city had to go through back then. (You can argue Toronto has done the same with amalgamation. It may be a short term loser, but in the long run it might set the stage for a new Toronto to be born, just as NYC’s consolidation did). Regardless of the specifics, the question is, what does New York need to do to start thinking like a growth city again? 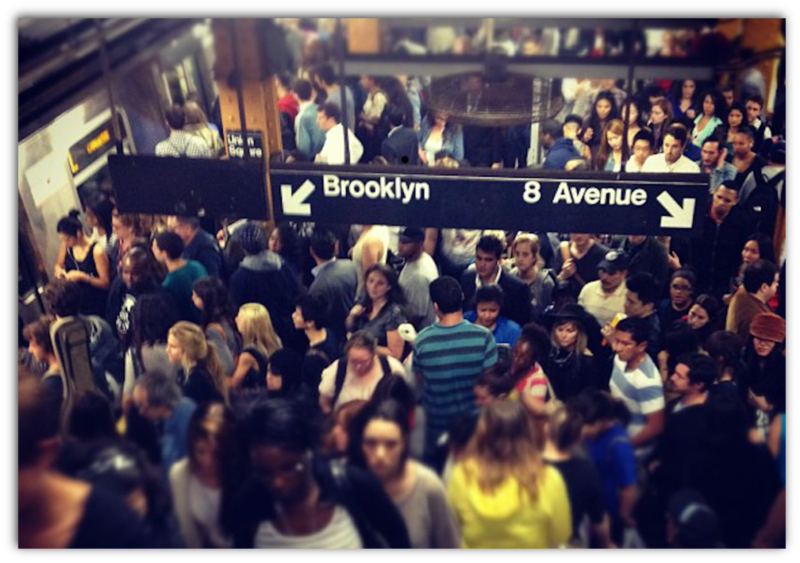 If NYC doesn’t figure it out, we already see the consequences: overcrowded trains and soaring housing costs that will resort a static population base to a new demographic. Nassau and Westchester, the sixth and seventh boroughs of NYC? Isn’t much of American political dysfunction really about people using what they don’t pay for and paying for that which they don’t use? This misalignment of costs and benefits is at the center of every American political debate, including the one Aaron describes here.